For almost a decade, investors have enjoyed low volatility and a Dow that regularly sets record highs. That’s the kind of run that might make you forget the pain of one of the worst recessions in history. So on days when the market drops, it’s no surprise our blood pressure spikes as the sense of security to which we’ve grown accustomed suddenly disappears. And on such days, long-term, diversified investors, those who should be most prepared and inclined to stay the course, inevitably start dusting off the crystal ball and coming up with a plan of action. We start weighing every piece of data, tech stocks, labor market strength, the yield curve, China tariff news in hopes that we’ll see the future and know exactly what to do next. When we step back to see the big picture, a preponderance of good data tax cuts, deregulation, rising GDP growth, a stronger labor market, corporate earnings seems on the surface to outweigh the bad, which might suggest U.S. stocks should head higher in any kind of normal environment. But that’s just the thing. We abandoned normal almost a decade ago. 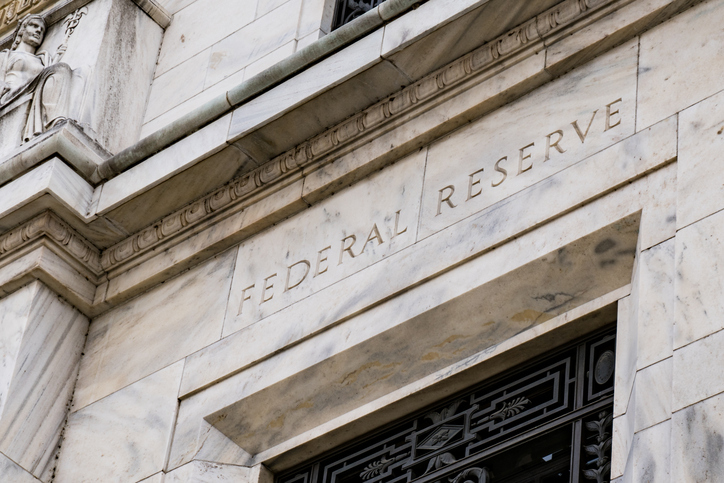 Back then, the Federal Reserve Board lowered interest rates near zero to force bond investors into stocks, hoping to fuel the stock market and subsequently pull the economy out of the recession. The first part worked. Since the bottom in March 2009, the S&P 500 has more than tripled in value. Unfortunately, the Fed’s unprecedented monetary policy also created a bizarre “good news is bad news” dynamic in which investors actually dislike positive economic data because any sign of strength might prompt the Fed to bring rates back to normal. In fact, volatility spiked the moment the Fed began to ease the market off the morphine drip back in 2015. Nothing had dramatically changed in the economy or corporate earnings or really anything else that might traditionally affect the stock market. But without the support of low interest rates, equities lose appeal as bond yields become more attractive. This interest rate story has remained the common thread woven through most of the severe and sudden spikes in volatility for years. Many people, for example, assumed Fed Chairman Jerome Powell might raise rates more quickly than his predecessor when he started back in February. On his first day in office, equity markets responded with the worst single-day selloff on a percentage basis since August 2011. Yesterday’s dip further exemplifies this phenomenon. Despite mostly positive economic fundamentals, markets pay more attention to the timing and tone of Powell’s words. When he most recently said we have a “long way” from neutral (meaning the Fed might be more aggressive in raising rates), bond yields spiked to seven-year highs as the Dow dropped 800 points. While we don’t believe in bull runs dying of old age, we should all get used to the possibility of volatility returning to normal levels, particularly as markets pay most attention to the Fed’s more aggressive path. Regardless of what’s to come, broadly diversified portfolios are built not just for single-day blips, but for weathering the worst kinds of downturns. That means that no matter what people think they see in the crystal ball, those with well-diversified and risk-appropriate portfolios should do nothing. While we’re hard-wired to react to perceived threats, trying to time the market inevitably leads to the destruction of wealth. Remember that the most elite economists and supposed market gurus all look at the exact same data and tell completely contradictory stories about the future of the economy and markets. As advisors, we’ll continue to keep an eye on the Fed and all else that goes on in the world. But in truth, we do our most important work when we build allocations appropriate for each investor and we make sure those investors stick to the plan. As we’ve said many times before, long-term investment success comes down to weathering storms rather than becoming part of the debris.